Brisbane spring water customers who are looking for coolers would find that there are many types available today, and they would find it easy to choose something that looks attractive, fits perfectly in the available space and meets their need for clean, cooled water. The choices start from small bench top models when the need to save space is paramount. There is also an average-sized dispenser similar to those offered as a free service at the doctor or dentist, as well as mains connected filtration systems. Even the humble bubbler has been enhanced and improved and is available for installation at predominately industrial and educational premises. Pacific Springs is a local family-owned and operated company with over 18 years’ experience in supplying and servicing water filtration systems and water cooler products. Their company philosophy is one of providing personalised service and they demonstrate this is by ensuring that any phone query from a customer is answered by a real, live human being and not a machine! 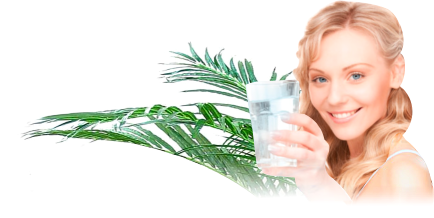 They service Gold Coast and Brisbane spring water customers with a steady supply in their homes and offices. 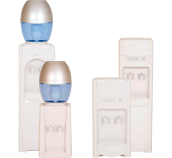 Their spring water systems are available in bench top and free-standing models, white in colour, that blend perfectly with modern home and office décor. For a complete contrast, the premium range of spring water models, all freestanding, come in black, a classic chrome and black combination and stainless steel. These are at the higher end of the range and are the perfect accessory in a stylish professional reception area or would sit well in the minimalist interiors of modern homes. There are also two budget styles in ceramic that fit on a bench top or a free-standing ceramic pot style on a timber stand. If the convenience of having cool water coolers with mains connected appeals to you, there are choices in this range. Mains connected water cooler systems are especially suitable for large industrial complexes or workplaces where the amount of water consumed would not keep pace with refillable bottles. There are two styles available: the standard floor mounted model and a similar model in a bench top style, both white in colour. Self-fill filtration systems are also available as well as a remote, under sink chiller that is completely out of the way, leaving valuable sink and bench space free. Pacific Springs also supplies bubbler stations much favoured by childcare centres, kindergartens, schools and anywhere where having a readily available supply of safe drinking water is a health requirement. These systems are robust enough to withstand the extremes of weather we experience outdoors, but can also be installed indoors. They are typically found in factories and processing industries where there are large areas of workspace under cover. Installing several bubblers in strategic locations around the workplace removes any productivity issues that would occur if workers had to walk long distances back to a lunch room for a drink. Full details with pictures of all the Pacific Springs water coolers are to be found at www.pacificsprings.com.au. Accessing the webpage during working hours will direct the enquirer to a live chat or, alternatively, there is an online enquiry form that can be completed and submitted for a later response. For clients in Gold Coast and Brisbane with spring water and bottled water needs, contact Pacific Springs. This entry was posted in Drinking Water, Office Water, Water Health and Safety (OH&S) and tagged spring water, water coolers by Teala. Bookmark the permalink.